Adjustable, sturdy and portable. 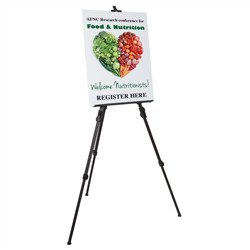 The Presto Easel feature durable metal frame and contour rubber feet. Adjustable heights for floor or table top use.